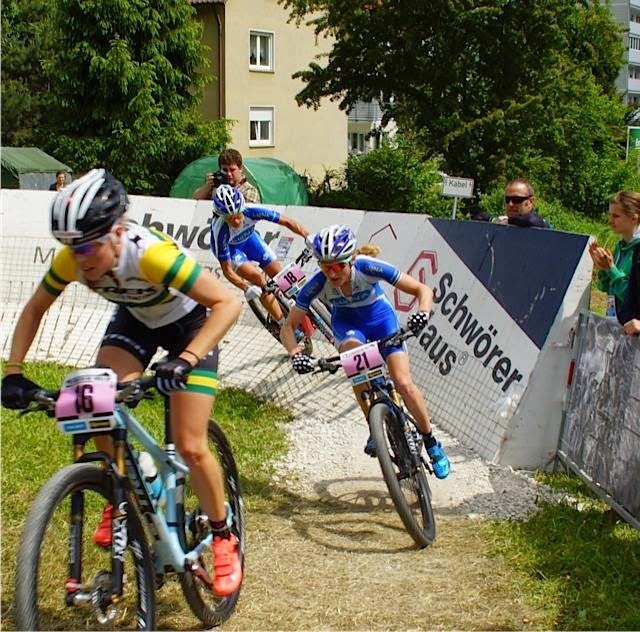 After feeling amazing in Czech, riding my way through the field, I was looking forward to the World Cup in Albstadt, Germany and hoping to be able to give last week’s winner, France’s Pauline Ferrand Prevot a bit of a challenge for the win. However, she is currently riding in a league of her own and handily rode off the front once again. This weekend I was able to navigate my way to the front a bit more quickly than last week, but not quickly enough. Pauline and Gunn-rita had already distanced themselves from the field. In the early laps I thought I might be able to bridge up to Gunn-Rita but found myself in a bit of a cat and mouse situation. 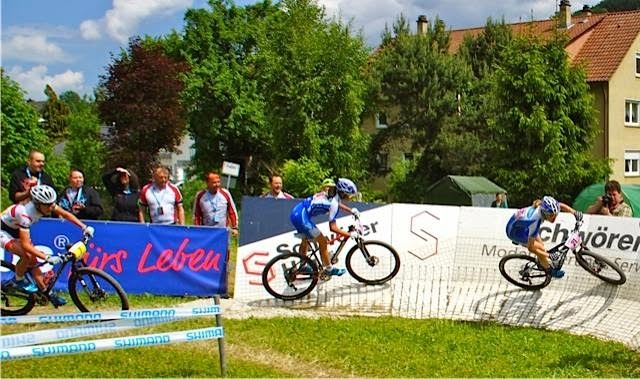 I had the legs to maintain laps with her but not to escape my group and close the 20 second gap. A chase group was formed between Jolanda, Maja, Adelheid, Tanja and myself. I say chase, but don’t really feel we chased, rather we raced each other for 3rd. A little disappointing of a situation, but one you find yourself in when you are up against teams and everyone wants to be as rested as possible for the killer climbs! We climbed as hard as possible and chased each other down the descents. At one point, (the funnest time of the race,) Maja and Jolanda tried to get away and I got to chase them down the descents, later Adeheid went to the front and pushed a punishing pace which formed a gap between her and I and the rest of the group, but that closed again on the descent. For 5 laps our little group stretched apart and came back together until the final lap when first Jolanda surged off the front and then Tanja. I thought my legs were still ok, but the power seemed to go and I was left chasing them down for the final podium position. It was one of the toughest races I have done in recent memory, punishing climbs and tactical positioning. 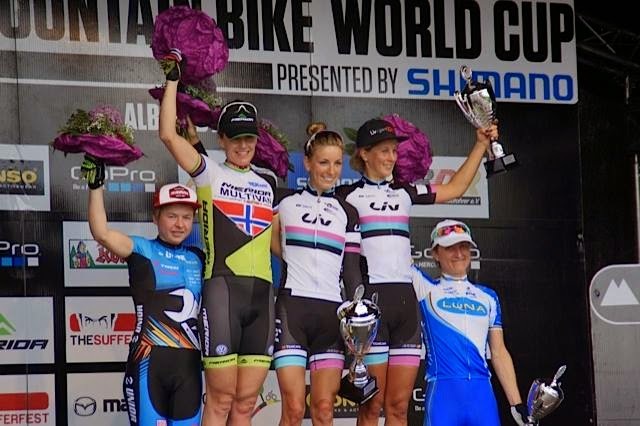 It reminded me how hard World cup racing is and how critical it is to have rock solid determination and grit. It made me excited to race more. The World cup is now on a 2 month break and it is time to turn attention to training weaknesses and building strengths for the second part of the Season.